I have to say tonight's dinner ranked very high up there as one of my favorite dinners. 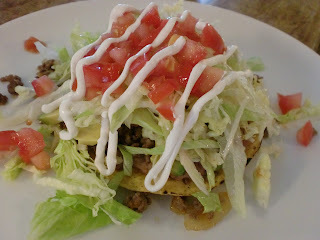 I made taco tostadas with nada mas (nothing else). These are easy, quick, and not too messy. The most important part is the layering. 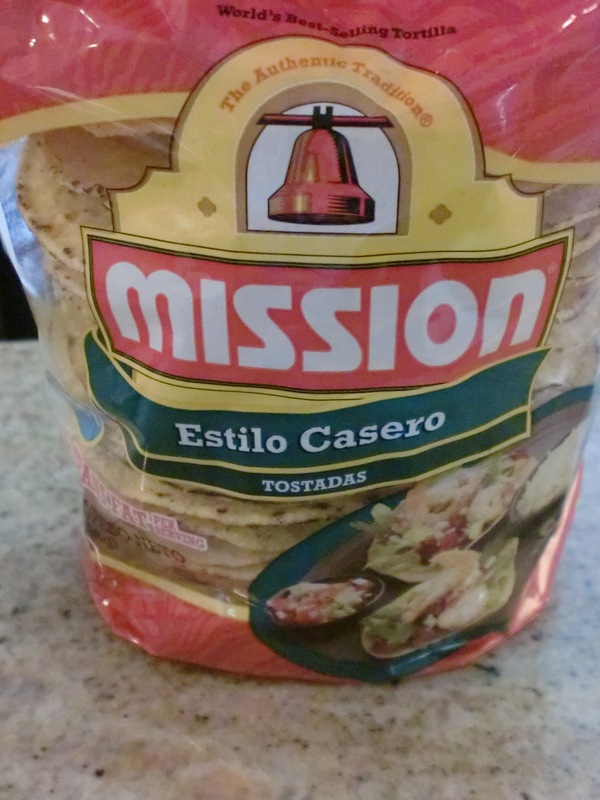 I started with premade tostada shells made by Mission. Next, I layered on homemade refried beans, sliced avocado, taco meat, salsa, shredded lettuce, chopped tomatoes, and a drizzle of soy sour cream. Last, I put on the secret ingredient, Wishbone Italian salad dressing. I know that may sound strange, but you have to trust me, it's amazing! To drizzle sour cream, fill a sandwich baggy with 1/2 C. sour cream. 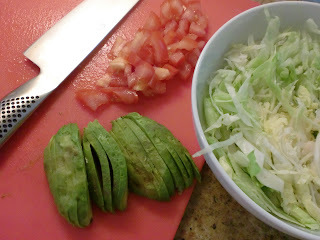 Snip a small piece off one corner, and squeeze out onto the tostada in a thin stream. These are so yummy. If you are in a pinch you can substitute canned refried beans, which are difficult to find kosher. Pour the can of beans including the liquid into a small or medium bowl. Use an immersion blender and blend until somewhat smooth, you can also try mashing with a fork, but that is too much work and won't get smooth enough. Place the vegetable oil in a medium skillet and add the onion and garlic. Saute over medium heat until the onion is soft, do not let it start to brown, turn down the heat if this happens. 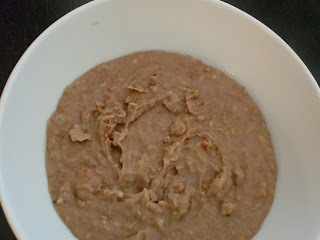 Add the mashed beans and stir frequently cooking over medium heat for 5-10 minutes until the beans start to thicken. Remember the beans will thicken as they cool. Add salt and pepper to taste. In a medium sized pan heat the vegetable oil over medium heat. Add the onion, and garlic. Saute until the onion is translucent. Add the ground beef, and cook until browned. Add the cumin, paprika, salsa, pepper, and salt. Stir to combine. Lower the heat and cook for 15 minutes. Tostada, Beans, Sliced Avocado, Taco Meat, Salsa, Shredded Lettuce, Chopped Tomatoes, Drizzle Soy Sour Cream, and Wishbone Italian Salad Dressing. SO GOOD! 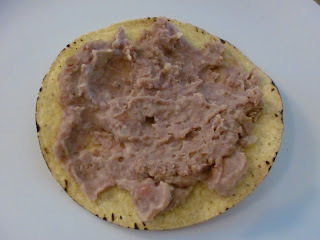 Here's another idea, make dairy tostadas by leaving off the taco meat and using black beans, shredded cheese, and real sour cream in addition to the other ingredients.